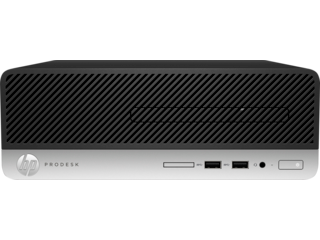 If you want to outfit your office or classroom with an affordable and minimal computing solution that delivers on processing power and accessory support, the HP ProDesk 400 G5 is the ideal choice. This PC provides high-performing hardware, the option to connect to the peripherals you want, easy-to-use management tools, and much more in an incredibly small package. Outfitting your team with a better PC shouldn’t come at the cost of security. Deploy a solution for your data management needs that’s designed to keep you safeguarded against outside threats. With HP Client Security Manager, you can easily view and automatically counter bad actors in real-time, ensuring your office is kept safe from harm and free to devote more of their time to what actually matters. The included HP BIOSphere firmware provides an additional layer of protection with the benefit of seamlessly checking for updates and security risks in the background. 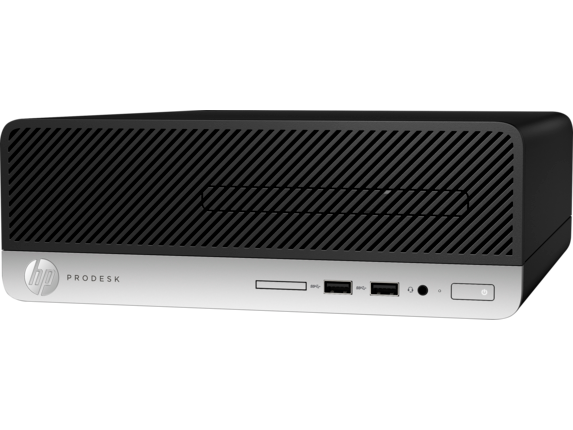 Beyond being a powerful, small form factor computer, the HP ProDesk 400 desktop is easy to manage from anywhere you want to get work done. Whether you have 5 or 500 HP ProDesks in your space, you’ll be able to remotely interface with all of them on the fly with HP Device Manager. This helps you make sure that your team always has the software they need and that their hardware is current. From a single control panel, it’s easy to provide support and deploy the tools you need on multiple machines with the push of a button. 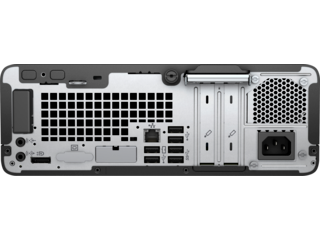 One of the biggest problems smaller computers face is their lack of ports, but that’s not an issue for the HP ProDesk 400 G5. It comes with eight USB ports, convenient front-panel access to an SD card slot and headphone jack, and expansion options that offer near-limitless options for how you use it. From hooking up all your favorite peripherals to connecting multiple monitors for an extended workflow, this HP ProDesk is ready to take on any challenge. Plus, with so many USB ports included, you won’t have to resort to using hubs or adapters to get the most out of it. You can connect all the peripherals you want at once. Those ports also help the small form factor of the HP ProDesk 400 desktop make a big impression. With its combination of configurable performance hardware and multiple display port options, you can extend your computing power to multiple screens all from one PC. Out of the box, this HP ProDesk supports up to three displays, ensuring you and your team have ample room to get things done with all the screen real estate you need. You’ll have more room for multi-tasking, collaborating, and taking on that next big project in style. 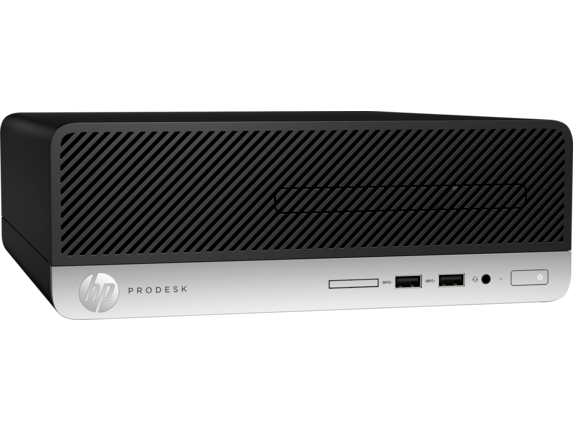 The HP ProDesk 400 G5 is designed to be small enough to easily tuck out of sight, too. 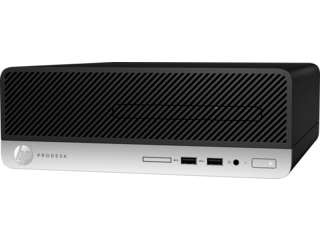 With its ultra-compact design, you can place it just about anywhere you want for a more minimal computing experience that puts the focus on what you’re working on - and not the hardware that’s powering it. Mount the computer behind select HP displays to take this minimalism to the next level and bring an even smaller footprint to your workplace. It’s important that your PC is more than just powerful and compact. You need to know that it can stay with you for the long haul, and that’s something you won’t have to worry about with the HP ProDesk 400 desktop. Both the HP ProDesk 400 G4 Desktop Mini PC and HP ProDesk 400 G5 Small Form Factor PC were put through dozens of hours of testing to make sure they’re more than capable of handling extended use. An optional dust filter adds even more endurance so that you can be confident that PC maintenance will be kept to a minimum, letting your team use their computers longer without the risk of dust accumulation, slowdown, and overheating.